Mark Ridley, the owner of the iconic Mark Ridley’s Comedy Castle in Royal Oak, is celebrating a rare 40 years in the business of making people laugh. 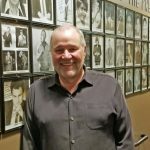 In this bonus episode of The D Brief podcast, he reflects on his decades in the business, including seeing legends like Tim Allen, Dave Coulier, and Mike Binder come up through his venue. The D Brief podcast regularly features metro Detroit comedians, including past guests Dave Landau, Bill Bushart, Joel Fragomeni, Jeff Horste, Mike Green, Mike Geeter, Sam Rager, J Bell, Boogie Williams, and more.